Sam joined the club early in 2007 after being spotted playing by former Diamonds keeper Kevin Shoemake playing for Corby Town Under 18s. He had previously had a short spell with Wrexham as an Under 16, which followed an earlier spell at Nene Park. 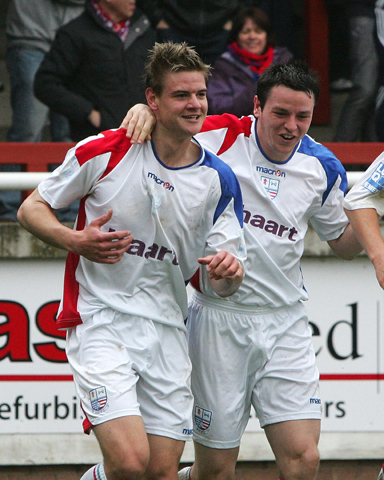 After just over a year in Diamonds Youth ranks, Sam was rewarded with a place in the first team squad in spring 2008. He made his league debut with a substitute appearance against Cambridge United on 8 April 2008, then went on to make his first League start against Oxford United later that month, scoring his debut goal in the final game of the season against Aldershot. That goal was scored a few days before his 18th birthday, although not quite early enough to shade Lee Tomlin‘s record for the youngest player to score a league goal for the club. He was then offered and signed a three year contract, prior to the start of the 2008/2009 season. After missing the first game of the 2008/2009 season, he scored in each of the next three league games, making it a run of four league games in a row where he had joined the game from the bench and scored. He finished the 2008/2009 season as joint-top league goalscorer with 8 goals, as well as joint-top overall goal scorer with 9 goals. He made 31 appearances from the bench that season, including his appearance against Kettering Town at Nene Park, where he scored a memorable winning goal. At the end of October 2009, he went on loan to Corby Town for one month, returning to Nene Park at the end of November. 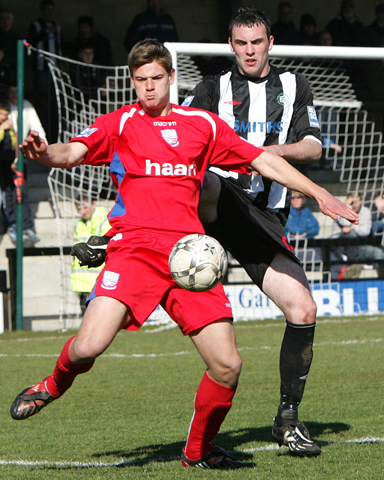 He then went on a further month’s loan to Hinckley United in December, but again returned from loan during Diamonds push for a play-off place at the end of the 2009/2010 season. The following season, an injury during the pre-season programme saw him sidelined until November, and just as he had the opportunity to establish himself in the side, another injury in February meant he had to sit out the remainder of the season. Sam was released in May 2011 and on 6 July 2011, he joined Conference side Lincoln City after their relegation from the Football League, taking up an extension to his contract for the following season. 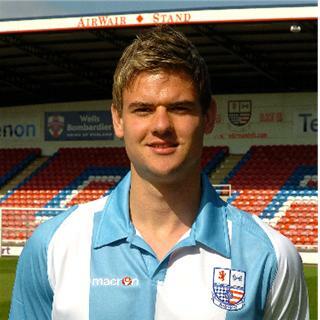 On 2 August 2012, Sam transferred to fellow Conference side Cambridge United for an undisclosed fee. He scored three times in 20 appearances for the U’s, but on 12 June 2013, he went out on a season long loan to fellow Conference side Hereford United, scoring 4 times in 34 appearances. On return to Cambridge, Sam was released on 27 May 2014 and signed for newly promoted Conference side AFC Telford on 29 June 2014. He made 5 appearances at the start of the season, but went out on a loan deal to Conference North side Brackley Town on 4 September 2014. He moved on to Woking in early 2016 and then to Kettering Town the following season before moving to play in Australia for Gold Coast City. He won the 2017 NPL Queensland Golden Boot before signing a two-year deal with South Melbourne FC in late 2017.